April 1, 2019 Valve Index is indeed set to launch in June. A Valve representative tells PC Gamer that the company is “still finalizing the targeted day in June to begin shipping units to customers.” The date on the store is June 15, though it seems that the specific day could shift around. 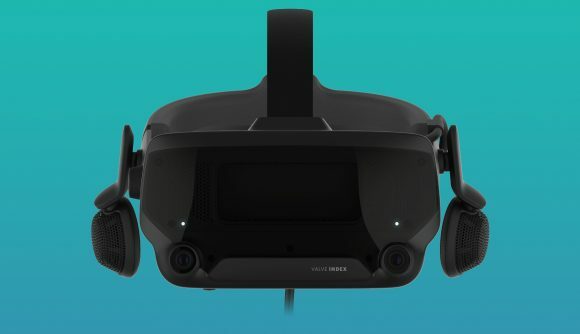 The full reveal of the headset is scheduled for May 1 (as are pre-orders), and Valve suggests that the details are subject to change up until that point, but some other details were noted in the early listing. The store page for the headset itself notes that it will have integrated headphones, and connections for DisplayPort 1.2 and USB 3.0. This page seems to suggest that a base station and specialised controllers will be sold separately, and may be required. Both accessories have their own store pages which list a somewhat more vague June release window. If those pages go down, you can see some captures courtesy of Wario64 on Twitter. Last week, eagle-eyed Steam users caught a new teaser page on the Steam site for something called the Valve Index, which promises to “upgrade your experience” in May 2019. We weren’t sure at the time if that was a release window or the date of a reveal, but now it seems that it’s the latter. The design of the headset matches with leaked images that popped up last year, which – notably – came alongside news of a Half-Life prequel specifically built for VR. Rumoured specs for Valve’s VR headset included a 135° field of view, and the company’s VR-focused Knuckles controller had been making the rounds long before those reports even hit. Recent layoffs at Valve seemed to hit harder around the VR department, but those still at the company quickly came back to say work on VR is still continuing apace. Valve has previously partnered with HTC on the Vive for its VR needs, but we’ve known the company has been working on its own VR solution for some time. The real question, of course, is if that Half-Life prequel truly exists and exactly what it will entail – if the other reports have come up true, there’s yet hope.